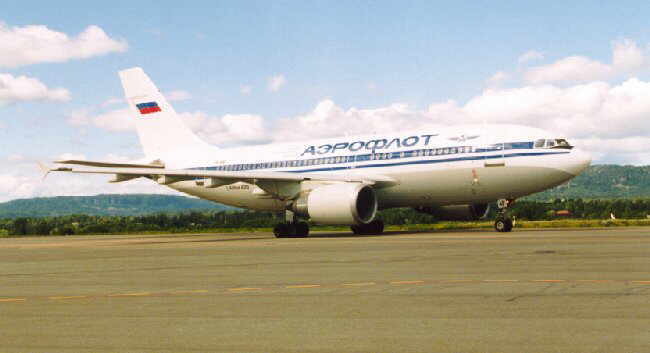 Aeroflot flew to St. Petersburg and Moscow with Tupolev 154 and 134, but we occasionly saw an A310. A310 VP-BAF on an August visit. Tu-154M 85570. Probably the aircraft we saw most. This TU-154M of Aviaenergo RA-85809 flew on behalf of Aeroflot. Updated 10. August 1998 by Andreas Mowinckel - Please mail me if you have any comments.